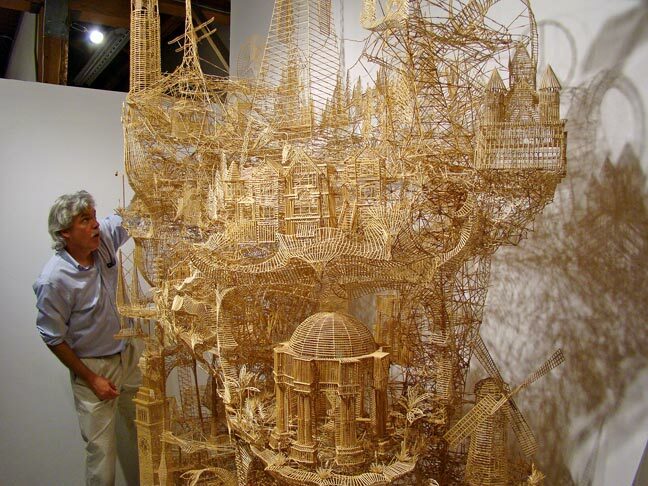 Weaver used different brands of toothpicks for different portions of the piece, including some brought to him by friends and family from world travels; he even created a heart housed within the sculpture’s Palace of Fine Arts out of toothpicks thrown by well-wishers at his wedding. 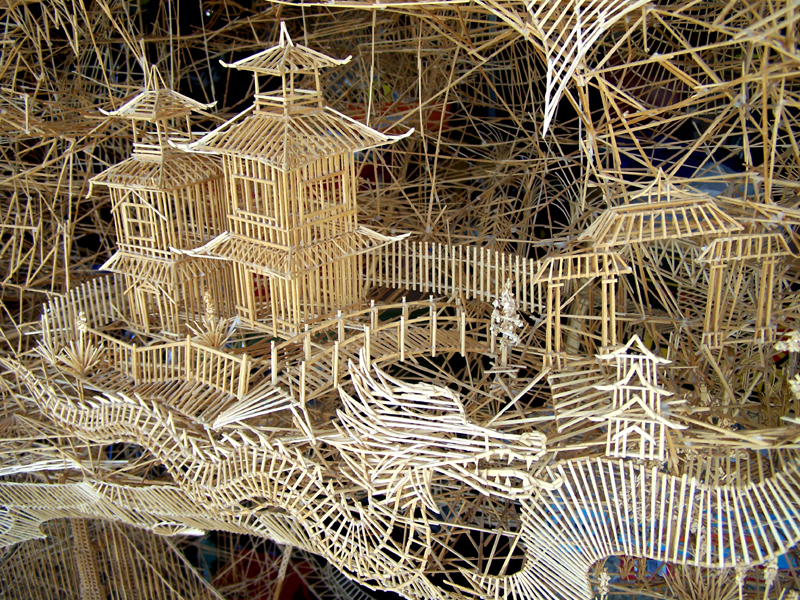 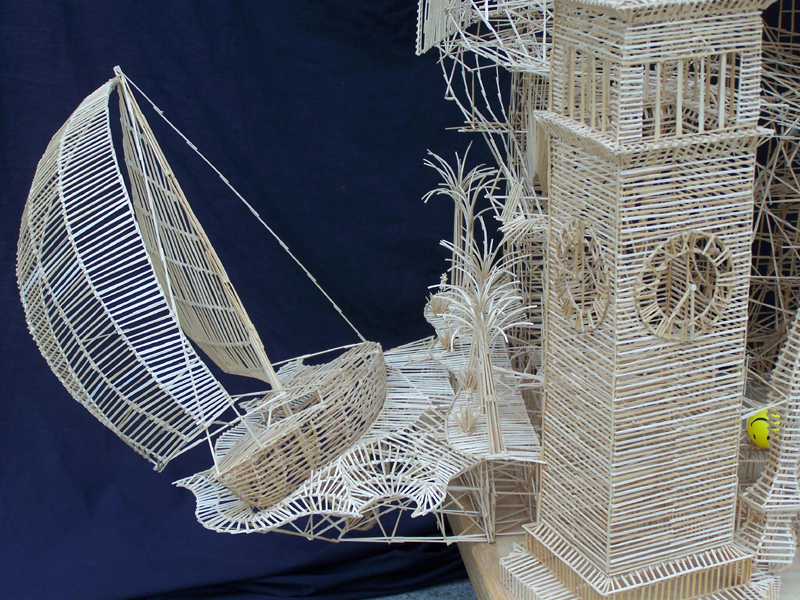 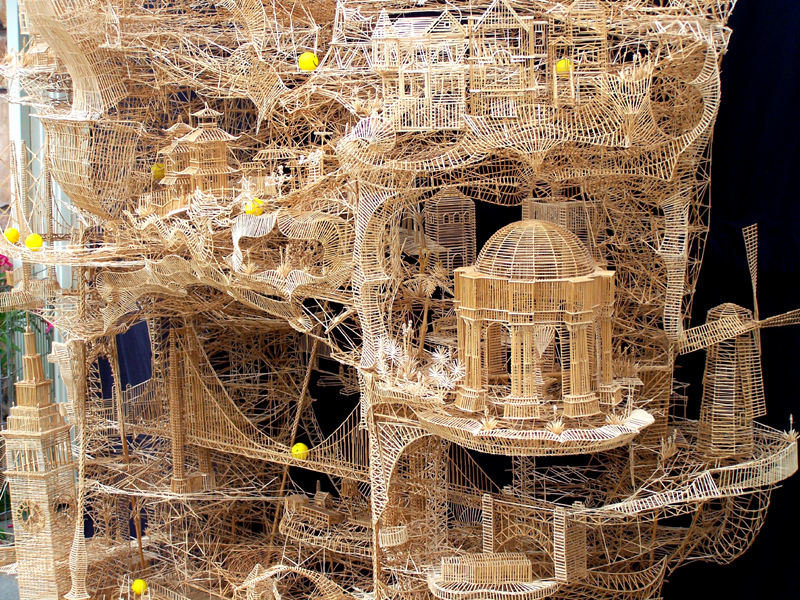 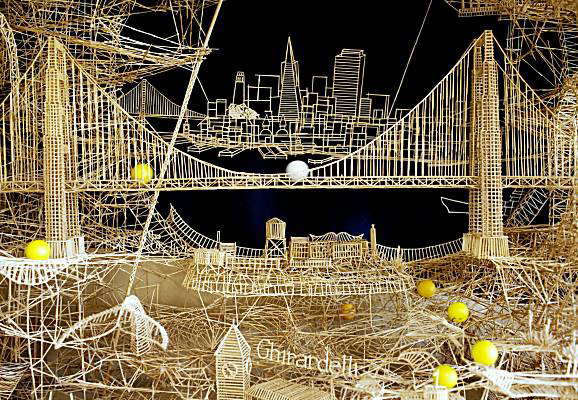 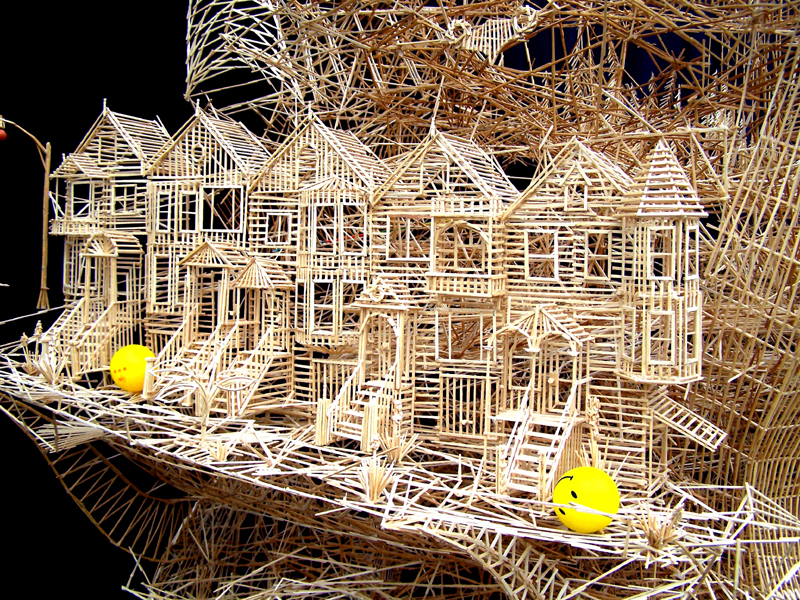 Weaver, who hails from a family of three generations of San Franciscans, has been building toothpick sculptures since he was 8 years old. 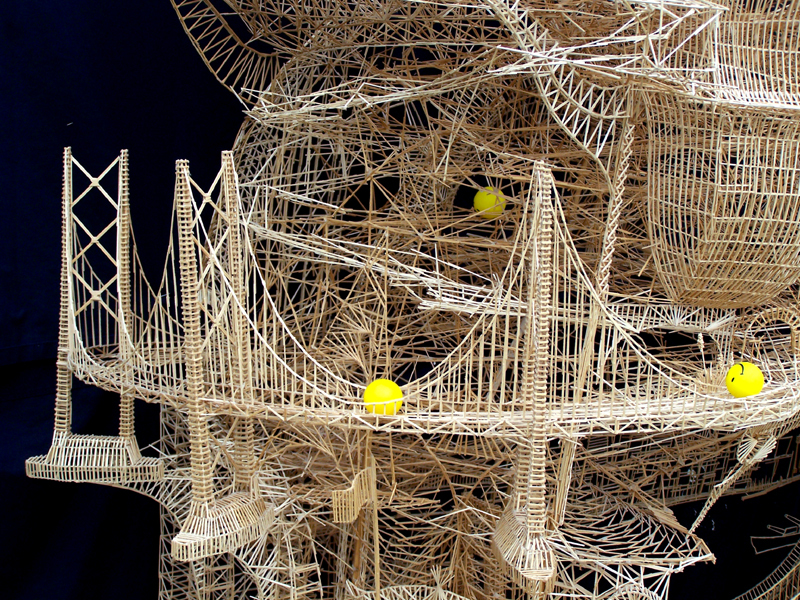 Here’s a video of the sculpture in action.